Why the Toxic Material Inspection/Survey is one of the most important decisions you'll ever make. In our experience, trouble almost always starts when facility owner/operators neglect to have a thorough inspection completed prior to facility renovation/demolition or excavation. Things can get ugly quickly. At worst, toxic materials are disturbed, resulting in exposure to workers, employees and the public. Complaints are filed. 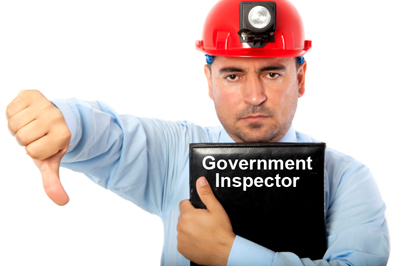 EPA/OSHA enforcement regulators swarm into investigate. The media shows interest in the story. You're on the phone to yourattorney. The project grinds to a quick halt as an investigation takes place to determine violations, negligence, human exposure, legal liability, and cleanup costs. Environmental regulations are strictly enforced and can potentially include criminal penalties.One thing is for sure; your organization can a pay huge price neglecting the toxic material inspection/survey. Fortunately, there is a way to avoid the pain. You can stay in compliance with US, state and local environmental regulations by proactively having Keers provide this important inspection/survey service. We'll even make sure the report results are interpreted and interfaced with your facility plans. When you need to know what you're dealing with. 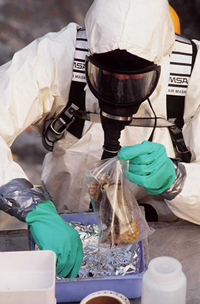 Our toxic material abatement and remediation experiences makes for thorough inspections and surveys. We have encountered it all in 30 years. We know what to look for, and how to protect your people, facility and pocketbook.